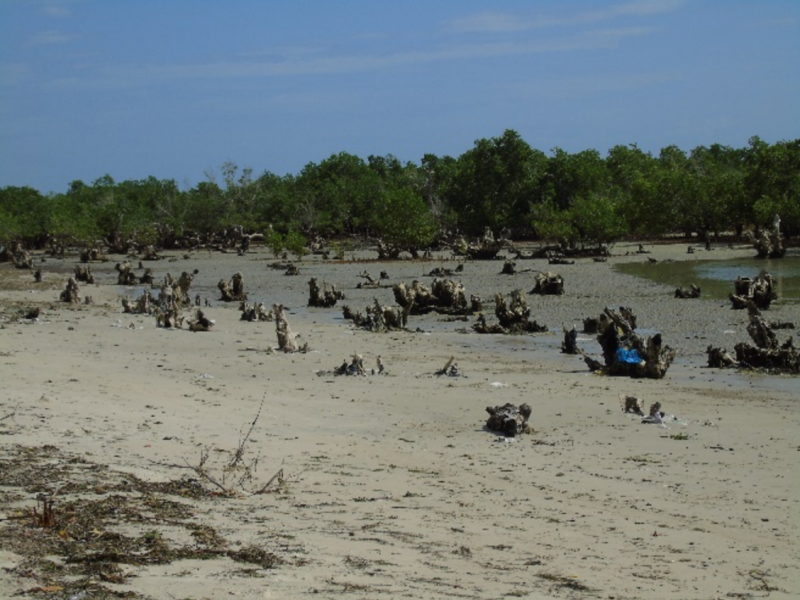 Trash littering Bagamoyo mangroves in September 2017. It would be difficult to recognise the beach in the coastal town of Bagamoyo, Tanzania today compared to what it looked like just a few short years ago. While the shore is still spotted with broken fishing nets, plastic wrappers, and household waste that get washed in with the tide, the beach is relatively clean. It’s not spotless, and there’s definitely room for improvement, but it’s come a long way thanks to a local beach cleaning organisation called Bagamoyo Beach Lovers (BBL). Unfortunately, up until late last year, they had no data to support that conclusion. Capture current data and perceptions in order to accurately measure impact over time. Use an action research approach and engage in stakeholder mapping to raise awareness about the various environmental issues plaguing the community and build a robust stakeholder network to effect change. Develop sustainable management structures to build institutional memory and internal controls that make the organisation more effective and accountable. Attract ongoing grant funding, donations and sponsorships by clearly demonstrating the accomplishments, need, and potential for growth. Create a roadmap for improvement and suggestions for the future of the organization. The project surveyed almost 800 members of the community and helped to raise the profile of BBL’s work through collecting and analysing data about the current state of the environment. There were three different survey instruments developed: one for tourists or visitors, one for workers in the fishing industry, and one for the general community. They also conducted interviews with 11 government offices involved in environmental cleaning and management. Other data collected included GPS coordinates taken along the shoreline every 50 metres for a stretch of 2 kilometres to record tide levels, and photographs documenting physical evidence of the sea breaching the shoreline, such as broken seawalls and fallen palm trees. The perceptions captured during the data collection were interesting, but not altogether surprising. Survey respondents who were already aware and passionate about local waste management challenges were quite receptive to discussion, and keen to get involved. Those on the opposite end of the spectrum however, who had no interest in the environment whatsoever, were much harder to engage. It’s nearly impossible to change someone’s mind or behaviour in just a single interaction. At the end of the survey, respondents were asked if they wanted to leave their contact information and whether they gave permission to be contacted in the future. Those who agreed were then added to BBL’s contact list, so they were able to reach out to them again to invite them to participate in World Cleanup Day. The final report amalgamated all of the collected data along with background research on global and local marine and environmental issues. Topics covered included coral reefs, mangroves, eroding coastlines, climate change, illegal fishing, pollution, and Tanzanian solutions, among others. The report appendices included valuable resources such as the five-year strategic plan for the local livestock and fisheries department and potential partnership or funding opportunities for the organisation. Overall, the report presents a thorough, well-defined picture of the current state of the beach and marine environment and the challenges BBL faces in their work. Following the completion of the report, BBL attempted to meet with the municipal District Commissioner and District Environmental Officer—the highest members of the local government—to present their findings and seek further support in combating the issues. At the time of this writing, they have still not been successful in securing this meeting. The report has also not aided BBL in securing any additional funding or sponsorships to date, as was initially hoped. Despite this, the project helped BBL formalise their operations, build out their contact database and network, and encouraged them to finally set up a board of directors. The board of directors consists of a director at a local college, a retired head of the municipal Livestock and Fisheries department, and a prominent anthropologist, all of whom brought a unique perspective and skillset to the table. The board also fosters connections with other networks in the community: the college director provided a link to college students, the Livestock and Fisheries department head was able to speak on behalf of the fishermen, and the anthropologist helped connect the organisation with artistic, recreational and nonprofit groups. Although the baseline survey and report didn’t quite achieve its intended impact, the process of collecting data, speaking with local stakeholders, and implementing systems was absolutely invaluable to BBL. It helped the small organisation grow and build relationships in ways that are hard to quantify, and raised public awareness about the beach and marine environment. All in all, it was another stepping stone on the path to creating sustainable change in the Bagamoyo community. Bagamoyo Beach Lovers is a small community-based organisation in Bagamoyo, Tanzania. Founded in early 2016 in response to the devastating amount of trash piling up along the shore, the organisation is now the leading beach management unit in the coastal region. Today, they work with local, national and international partners to achieve their goals: cleaning the beaches and oceans, advocating for sustainable consumption and waste management practices, and engaging and educating the community about the environment. The World Cleanup Day campaign and project methodology was designed by Let’s Do It! World, supported by the Let’s Do It Foundation. The movement was born in Estonia in 2008, when 4% of the total population came out to clean the entire country in only five hours. The global leadership team used a hub-and-spoke model to connect with partners around the world; they would communicate with and train national coordinators (in Tanzania, the national coordinator was Nipe Fagio), and then the national coordinators would communicate with and train regional coordinators (like Bagamoyo Beach Lovers). The basic concept was simple: see it, map it, bag it, move it, and learn it; but of course, the reality was much more complicated than that. Below, we’ll address the five steps to World Cleanup Day, and the challenges we encountered with implementing each one in Bagamoyo. The first major issue to overcome was trash blindness. Trash blindness happens when people are so accustomed to seeing litter and waste in their surroundings that it becomes the norm. This is a very common problem in Tanzania, with many not even noticing the trash around them anymore. It’s common practice, in fact, to sweep the ground outside of one’s home to “tidy up” the dirt, while ignoring the piles of trash sitting a few feet away. In order to successfully pull off World Cleanup Day in Bagamoyo, we had to bring the issues of waste management and trash blindness to the forefront, and actively engage the community in fighting it. Changing behaviours takes time but having a conversation and discussing the issue is progress. Supplementing these conversations with community-sourced data helps to validate and shape the problem in a tangible, relatable way. It addresses trash blindness at its very core, by quantifying and recording waste, in order to open people’s eyes to what was right in front of them all along. The mapping portion of the World Cleanup Day campaign involved using an app to generate citizen-science data on illegal trashpoints. Data points recorded included a photo and GPS location of the trash, the amount of waste, whether it was hazardous or not, the types of materials identified (i.e. plastic, textile, electronics, etc. ), and the origin (i.e. household, non-household, or industrial). The data was then automatically input into World Waste Platform, an open database of illegal trashpoints around the world. World Waste Platform collects data from over a dozen different organizations and apps and amalgamates them in one common location. To date, there are over 260,000 points mapped. In Bagamoyo, however, the challenge with this model was access to technology. Many people in the community don’t own a smartphone, tablet, or computer. This automatically precludes them from downloading an app and uploading their own data sets and information. Early versions of the app also couldn’t be operated without an internet connection, making it impossible to access in remote or rural areas. As a result, Bagamoyo citizens only mapped 27 trashpoints throughout the campaign—a relatively small number considering the population size and amount of waste in the area. To improve the level of citizen engagement in the future, different measures would need to be taken, like delegating computer-based tasks to select project leaders or designing a system that allows for both online and offline data collection. Once trashpoints were identified, the next step was to bag the waste. Waste was divided into two categories: trash and recycling, and sorted into different bags as it was collected. To do that, volunteers needed to know the difference between trash and recycling, so that they could make decisions and categorise the waste out in the field. In a developed country like Estonia, where the campaign was designed, this likely wouldn’t be a major problem. But in Bagamoyo, many people had never even heard of recycling before World Cleanup Day. This meant that before anyone went out to actually bag waste, they had to be educated about recycling and be given examples of recyclable items they might find. Despite these sessions on recycling education, there were, of course, still mistakes made, and people had trouble remembering what is considered trash and what can be for recycling. The Bagamoyo Beach Lovers team then had to go through all of the collected waste to make sure it was properly sorted after it was brought to a central meeting point. The other part of bagging the waste involved conducting waste and brand audits. Waste and brand audits were carried out with a small sample of the total amount collected so as to identify the main types of waste in the community and the most prevalent brands found. The waste and brand audits were completed and recorded offline, and then later input into a spreadsheet and sent to the national coordinators, so fortunately, that aspect of data collection didn’t present an additional challenge for Bagamoyo Beach Lovers. After the waste was sorted, bagged, and audited, it needed to be transported to the appropriate location. For trash, that’s the government dump, a few kilometres outside of town. For the recycling, though, the nearest collection point is nearly 60 kilometres away in Dar es Salaam. This is managed by a private company, The Recycler, instead of the local government. In places where there is no waste management infrastructure or municipal waste services, it falls on private companies and citizens to step up and solve the problem. This means that the responsibility of transporting the waste, both to the dump and to the recycling center, fell on Bagamoyo Beach Lovers. Although the government was asked to subsidize the costs of the trip, in the end, that never happened. When waste sites are so inaccessible and transport prohibitively expensive for the average citizen, it’s understandable that so much waste is not properly disposed of in Tanzania. The final step was to learn more about the issue and further promote the campaign message of a cleaner world. Most of the international campaign communication was online and in English, and most volunteers communicated with each other using WhatsApp. The limited access to technology in the community obviously was a challenge again here. Even out of the people who had smartphones, they didn’t always purchase mobile data packages or have access to Wi-Fi, so relying on the internet wasn’t always possible. Nipe Fagio, the national campaign coordinator, did an excellent job to combat this by producing Swahili language content for radio, television, and print. 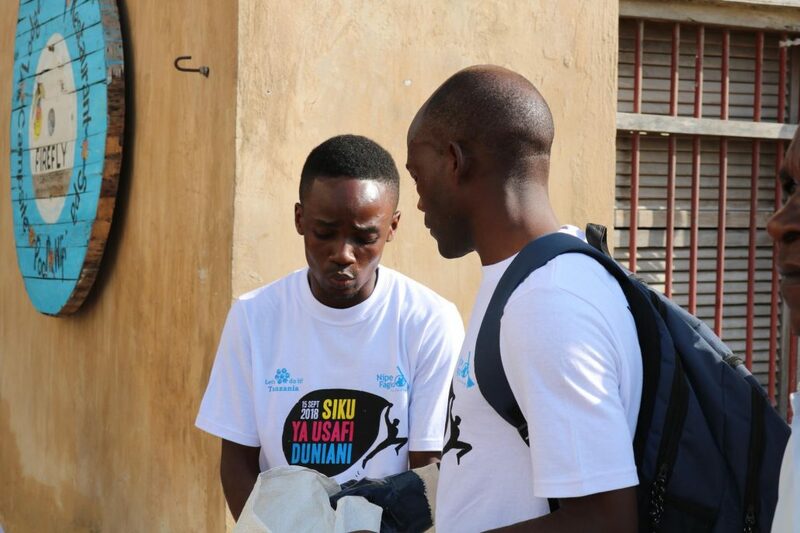 They also marketed the campaign with posters and billboards in both English and Swahili, and co-hosted a variety of events across the country, like the World Cleanup Day introductory event in Bagamoyo. In addition to the event, Bagamoyo Beach Lovers formed a local WhatsApp group, posted updates on their Facebook and Instagram pages, and distributed Nipe Fagio’s posters around the community. They also recorded the contact information of all project stakeholders and followed up by phone or text if they could not be reached online. Overall, it was a detailed, well-planned campaign designed to generate citizen-science data and unite people to clean up the world. In order for World Cleanup Day to work in Bagamoyo though, several challenges had to be overcome and modifications made to fit the local context. Only then could it be successful in the community. Yusuph Masanja from Nipe Fagio speaking to assembled stakeholders at the Bagamoyo World Cleanup Day introductory event. 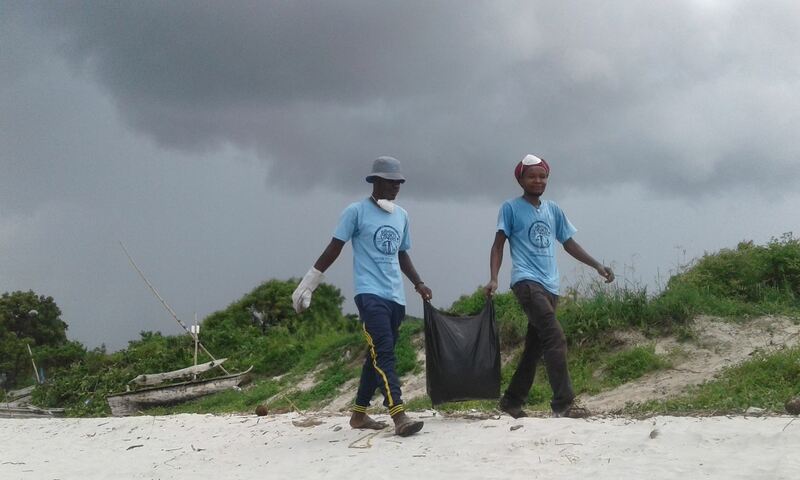 In July 2018, Bagamoyo Beach Lovers united a diverse group of local stakeholders for an event introducing World Cleanup Day, an international citizen-science data campaign and environmental movement. Below are five key takeaways from hosting the event, for anyone planning to introduce data-driven initiatives in their community. The introductory event for the World Cleanup Day campaign started off fairly casually. Guests filed into the courtyard of the eco-hotel in central Bagamoyo, and were offered a selection of beverages and light snacks. They filled out registration forms with their contact information and chatted with the other attendees as they waited for the presentation to begin. Bagamoyo Beach Lovers had been building relationships in the community for years, but this informal mingling allowed those that didn’t already know each other the chance to meet, develop a solid rapport, and build trust for themselves. One of the fundamental goals of the evening was to position the global campaign in the local context. The presenter was a Tanzanian environmental expert from Nipe Fagio, the national coordinating organisation for World Cleanup Day. He successfully negotiated the language needs of the group by speaking in both Swahili and English, switching back and forth between the two and translating as he went. The figures, statistics, and supporting images in the presentation were from around Tanzania, and where possible, the region itself. For example, in 2012, Forbes listed Dar es Salaam, Tanzania’s largest city, as the 12th dirtiest city in the world. The same 2012 study found that only 5% of waste was collected regularly in the country, while over 90% was illegally buried, burnt or dumped. Placing the issues of waste management and the environment in a Tanzanian context using verified data was essential in connecting people to the problem and helping them visualise themselves as part of the solution. Tanzania waste collection statistics, 2012. Songs and videos by local artists added an emotional appeal that was even more powerful than the facts alone. Msafiri Zawose, a well-known musician in Bagamoyo, wrote and filmed a music video called “Mazingira Yetu” (“Our Environment”) in honour of World Cleanup Day. Zawose gave his official endorsement, and used his platform to promote the campaign message. 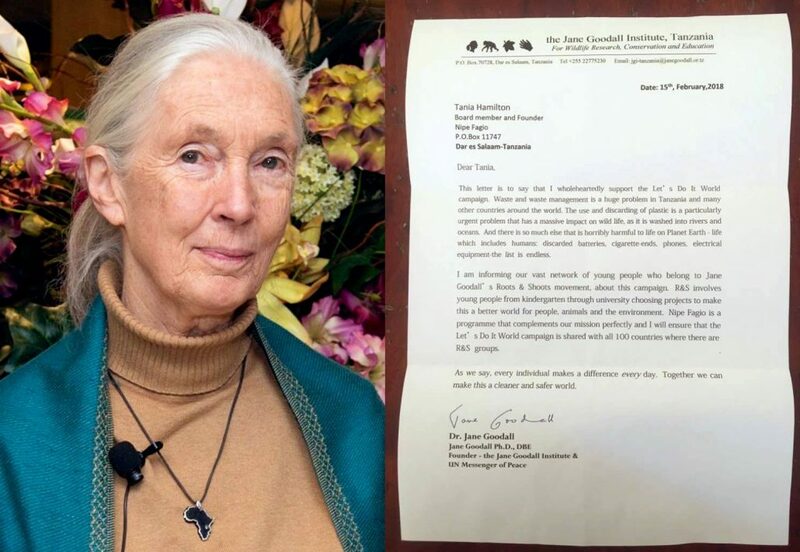 Other notable endorsements came from across the country, such as Dr. Jane Gooddall and the Tanzanian President’s Office, Regional Administration and Local Government, and helped lend credibility to the campaign on a national scale. “Mazingira Yetu,” Msafiri Zawose for World Cleanup Day. Following the presentation, attendees discussed what they heard and saw, giving them a safe space to ask questions and air their grievances. The discussion had a ‘town hall’ feel to it, but in a more informal setting. Stakeholders spoke out from across the community, and were answered by representatives from Bagamoyo Beach Lovers, Nipe Fagio, and the District Environmental Office. This conversation and the process of listening to one another was crucial in ensuring people that their opinions mattered and their voices were being heard. Before the evening ended, the event organisers outlined the next steps in the campaign and what could be expected in the coming months. Since the introductory event took place in July, there were still two months to build momentum and gain support before the official World Cleanup Day. The hosts asked attendees to follow Bagamoyo Beach Lovers’ social media pages on Facebook and Instagram, and promised to create a WhatsApp group to stay in touch. Those with smartphones could download the World Cleanup Day app and start collecting data by mapping trashpoints in their area. They also invited everyone to attend a practice cleanup on the beach the following weekend and encouraged them to share news about the campaign within their own networks. For the school principal, this translated into making announcements to their student bodies and having classroom discussions about waste and the environment, whereas for the business owner, this meant telling their staff about the campaign and giving them some time off work to volunteer. Establishing a framework for future touchpoints and engagement was pivotal, and helped everyone feel a collaborative sense of purpose and direction on the path that lay ahead. Bagamoyo Beach Lovers would have had a difficult time motivating the participation of government officials, artists, school principals, nonprofit directors, fishermen and business owners attending and supporting its World Cleanup Day launch without the community relationship building in the years leading up to the event. 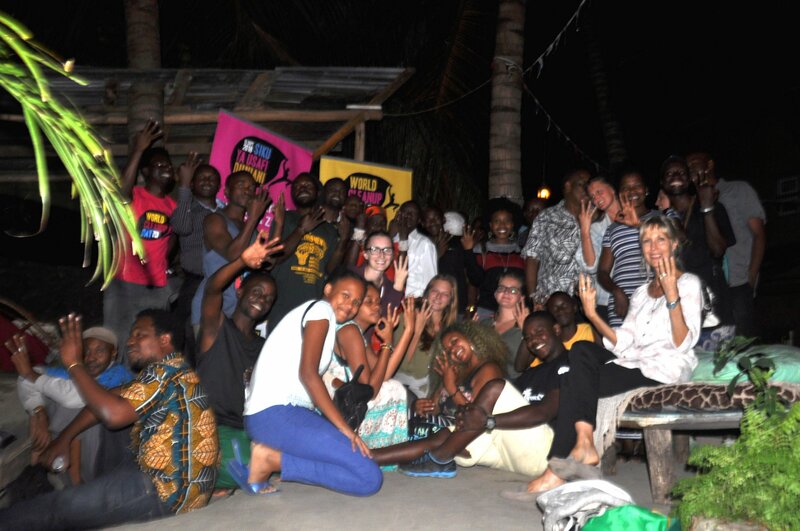 Founded in 2016, Bagamoyo Beach Lovers (BBL) is a community-based organisation formed in response to the overwhelming amount of trash accumulating along the Tanzanian coast. The founder, Joanna Turner, had just moved to town to open an eco-hotel, and was horrified to see the beach in such bad condition. Originally from Zimbabwe, Turner had been living in Tanzania for almost a decade, and for the past few years now has called Bagamoyo home. Bagamoyo markets itself as a historical beach town and the perfect weekend retreat from Dar es Salaam, the country’s biggest city. But not only did its trash problem impact the tourism industry, it also had devastating effects on fishing and the local community. So, Turner joined forces with a local partner and co-founder, Salim Omari*, and got to work. Turner and Omari registered BBL with the Tanzanian government as a community-based organisation (CBO). The CBO registration process was faster and more straightforward than that of a non-governmental organisation (NGO), and allowed her to get started sooner. While NGOs are often more formally-structured and can have wider mandates, CBOs focus on local projects, and should be composed and run by the community in which they work. However, getting buy-in for a joint community effort was not easy despite aligned interests. Bagamoyo Beach Lovers sought local support, formed a committee, and held meetings, but there was no follow through or action being taken. Bagamoyo Beach Lovers needed to prove itself to the local community in order for the CBO to function as intended. And Turner took it on herself to champion the cause. Initially, the core team consisted of Turner and Omari volunteering part-time, and one full-time beach cleaner. Turner would solicit donations from friends and business owners in the community to pay the cleaner, purchase gloves, bags, and other equipment and rent a trailer to transport the waste to the dump. Even with the direct correlation between BBL’s work and the beachfront hotels and properties, many businesses still weren’t willing to donate to the cause, so Turner covered many of the costs herself and with profits from her own hotel. Because the organisation was so small, establishing trust with these businesses and building a solid reputation within the community was essential to its growth. Turner began to visit the municipal government offices to discuss her plans and ensure the District Environmental Officer and the head of the Beach Management Unit were kept informed about the efforts to clean up the beach. The officers supported BBL and its mission to clean up Bagamoyo, and promised to do whatever they could to help it succeed. Like many governments, their departments were overstretched and underfunded, so their assistance only extended as far as approving paperwork and attending events, and even then, they didn’t always follow through. Nevertheless, the support of the local government is very valuable to a young organisation like BBL, and the organisation was stronger for it. Through a partnership with a solar energy company, BBL installed rubbish bins all along the beach, and created Bagamoyo’s first-ever recycling point based out of the eco-hotel. They also painted wooden signs reminding citizens not to litter and put them up on the beach, featuring the BBL logo, which helped to sensitise the local population to the organisation and its services. Just because the bins were in place, though, doesn’t mean they were properly used. Trash blindness was still very prevalent, with many people not even realising there was a problem with the way they disposed of waste. Exposing people to the issue and raising awareness is only half the battle, as lasting change requires patience and continued engagement with groups of stakeholders over time. As the team grew, they started to be better known around town. One beach cleaner eventually became two, and then Turner brought on another part-time staff member to handle the administration. Growing the team was challenging, as it required further investments of both time and money. The value of this investment was realised, however, in the insight it provided into the overall health of the organisation: for the first time, BBL began to consistently track finances, manage stock, and maintain solid records of its meetings and interactions with the community. In addition to daily beach cleaning and weekly trash collection from the BBL rubbish bins to the government dump, the team began holding sessions for students and volunteers. They now host workshops on BBL and the environment for groups from primary school to university, and then bring the volunteers out to clean the beach and sort trash and recyclables. In doing this, BBL has managed to both educate young people about environmental issues and form partnerships with several schools and nonprofits in the community. Because BBL has slowly developed these relationships over the past few years, it made it much easier to rally together such a diverse group of stakeholders together for the World Cleanup Day campaign. Although the campaign and data event came together in a matter of months, BBL’s work in the community had been going on for years. Without laying that initial groundwork, it likely wouldn’t have been possible to accomplish what they did. Unusual for this small coastal town in Tanzania, government officials, artists, school principals, nonprofit directors, fishermen and business owners filled the courtyard of an eco-hotel. Divided by status, education and environmental awareness, a citizen science data campaign brought them together to map and collect trash. 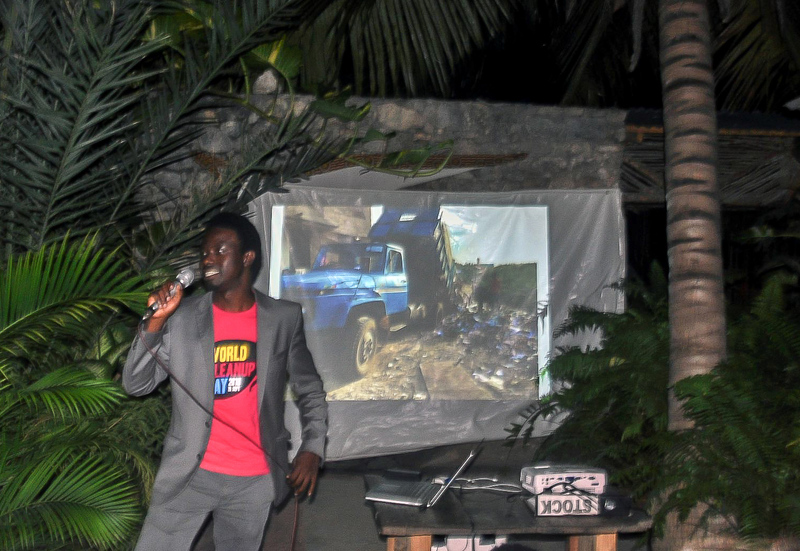 The main event of the evening was a presentation hosted by Bagamoyo Beach Lovers, introducing the community to World Cleanup Day, and outlining the various ways to get involved. World Cleanup Day is a global movement striving to be the biggest civic action in human history: millions of volunteers from more than 150 countries joining together to clean up the world. Started in Estonia in 2008, World Cleanup Day uses citizen science to map and collect data about trash, identify and clean illegal dumping sites, and propose and implement solutions to the broader issue of waste management. As the regional lead for the World Cleanup Day campaign, Bagamoyo Beach Lovers was tasked with bridging divides that separate local stakeholders and uniting them in support of a common goal: using citizen science to gather statistics about waste in the area, and then using that information to build a cleaner, more sustainable society. On a high level, community-sourced data collection can be incredibly effective, and helps to aggregate facts and opinions from across social, political, and economic spectrums. Practically, however, there are so many other considerations to take into account when engaging such a diverse range of participants. One major challenge was accounting for varying levels of background knowledge and understanding of the topic. Some of the event guests were fairly familiar with concepts like renewable energy and zero waste manufacturing, while others had never even heard of recycling. The government official and the subsistence farmer likely have very different views on waste and the environment, for example. The official might be preoccupied with the industrial waste blocking storm sewers in the town center, while the farmer is worried about people illegally burying household waste in his fields. Both are symptoms of the larger, systemic problem of waste management in Tanzania, but the objective is to meet the audience where they’re at and to present the information in simple, neutral terms that everyone can relate to and understand. Getting such a disparate group of people into the same room is often the biggest obstacle in planning a campaign of this nature. Bagamoyo Beach Lovers had been building community relationships for years with government, private and public actors. These were very helpful in the hectic weeks leading up to the event. The team brainstormed and sought insight on a guest list that would bring together some of the most significant networks in the community based on personal observation of how informal and formal decisions were being made in the community on environmental issues. We wrote official invitations in English and Swahili and had them signed and endorsed by both Bagamoyo Beach Lovers and the District Environmental Officer. Receiving the endorsement of the local government was necessary to provide a safe space for participants to gather. Local volunteers delivered the invitations to the guests in person, and recorded their contact numbers in order to send event reminders and confirm RSVPs by phone, text or WhatsApp. Tapping into local networks, gaining the support of key community leaders and following up once or twice with each participant were all crucial tools in getting people through the door. By then framing the issue in terms of its potential for impact and emphasising each individual’s unique role in the solution, it became possible to break down long-held cultural barriers and create a sense of global solidarity. For the fisherman, the proper disposal of nylon fishing nets and picking up waste along the coastline could mean healthier fish populations and better yields. For the hotel manager, a cleaner town and the preservation of historical sites makes for a more appealing tourist destination. For the school principal, incorporating environmental education into the curriculum empowers teachers and students to take care of the school grounds and to become stronger, more well-rounded citizens. The ability of the event participants to acknowledge these differences while celebrating their shared humanity was inspiring, and is a critical component in effecting real, lasting change. Unlike previous campaigns hosted by Bagamoyo Beach Lovers, the goal with this was to be more inclusive and representative of the local community, raise more awareness about waste management and the environment, and foster connections and partnerships that would long outlast the event itself. The evening ended on a note of camaraderie and cautious optimism. Everyone pledged to do their part in the upcoming World Cleanup Day and to be ambassadors for greener, more sustainable waste practices. Those with smartphones formed a local campaign-focused WhatsApp group to open up future communication channels and to create a space for further discussion. As a whole, the event was a learning experience for both guests and hosts, and illustrated that despite the challenges, citizens wanting to make positive change in their community can use citizen-science projects to bring diverse stakeholders together. CIVICUS is a global alliance of civil society organisations and activists dedicated to strengthening citizen action and civil society throughout the world. DataShift is a multi-partner initiative to support civil society organisations to effectively produce and use citizen-generated data to monitor sustainable development progress, demand accountability and campaign for transformative change.